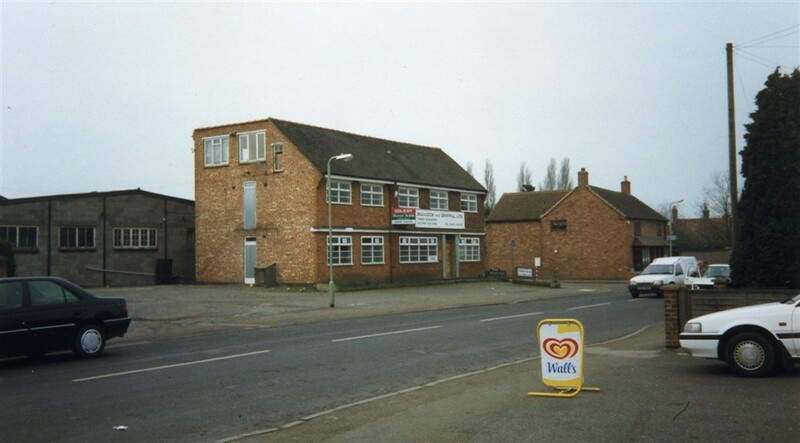 You are here: Home>Tags>Archive>Bottesford Heritage Archive>Photos from Mrs Jill Bagnall's collection>Snap shot of the former Bullock and Driffil office on the High Street. Originally W. J. Roberts Builders. Snap shot of the former Bullock and Driffil office on the High Street. Originally W. J. Roberts Builders. Bullock and Driffil offices and workshops shortly before their demolition.